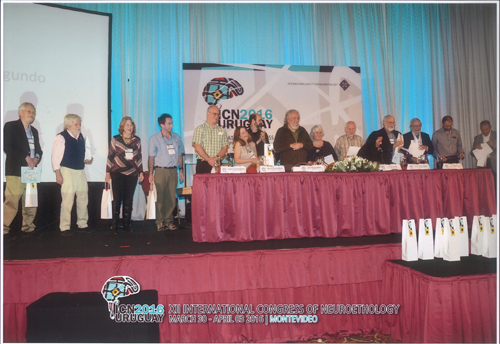 Kent Dunlap (fifth from left), professor of biology at Trinity College, was recognized for his contribution to the development of neuroethology in Latin America at the XII International Congress of Neuroethology. 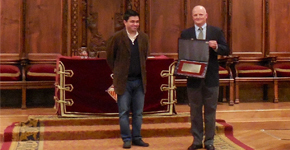 Kent Dunlap, professor of biology at Trinity College, was recognized recently for his contribution to the development of neuroethology in Latin America at the XII International Congress of Neuroethology held in Montevideo, Uruguay, from March 30 to April 3. Dunlap, a Fulbright fellow to Uruguay in 2009, was one of a small group of scientists from all over the world awarded this distinction. Uruguay has become a center for neuroscience in Latin America, Dunlap said, so cultivating young scientists to pursue further research there is important. The way his research has forged connections between North and South American scientists has been as important as the research itself, the professor said. Dunlap conducted research in Uruguay during his Fulbright stay in 2009, when he studied the neurobiology of electric fish at the Instituto Clemente Estable in Montevideo with Ana Silva and Omar Macadar. Relationships with this research group led to Dunlap advising and teaching graduate students. In addition to serving as a mentor to the students, he joined a thesis committee and co-authored various publications with them. In 2009, Dunlap taught in the Latin American School of Neuroethology, a short graduate course for students from all over Latin America, and in 2016, he served as co-director of the course, contributing to his most recent recognition. Dunlap has found ways to incorporate what he has learned in Latin America into the courses he teaches at Trinity. “In many cases I come back from work in Latin America with a lot of stories and first-hand examples that help enliven concepts taught in the classroom,” Dunlap said. 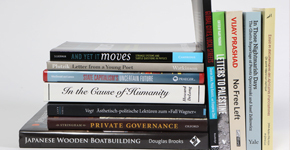 All the research from his Latin American experiences has included participation by Trinity students in Hartford and resulted in publications co-authored by his Trinity research students. Recent work from Panama done with Michael Ragazzi ’16 was published in one of the world’s oldest scientific journals, Proceedings of the Royal Society B, based in London, England. Although Trinity students have not traveled with Dunlap to Latin America, they have been to Europe and Canada for meetings to present their research. They have also been in contact with Latin American scientists regarding the work, offering a truly global experience.